MMA – This stands for “Mobile Marketing Association“. They produce best practices and guidelines on proper methods for text marketing and other other forms of mobile marketing. SMTP Messaging – This stands for “Simple Mail Transfer Protocol” and is basically a method of sending text messages using email technology. Beware of companies that use this method for their means for getting text messages out. Text messages sent by this method are subject to email spam filters and run the risk of not landing on subscribers phones. SMPP Messaging – This stand for “Short Message Peer-to-Peer” and is the preferred method for sending text messages. They use “short codes” or short numbers and send your texts directly through the cell phone carriers such as Verizon or AT&T to get your messages out. 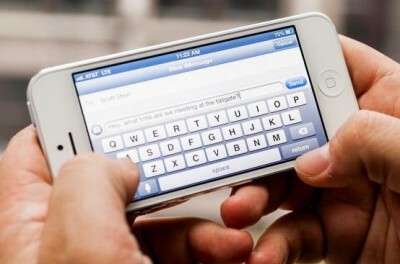 A text sent through this method is treated just like a text from one cell phone to another. SMS – This stands for “Short Messaging Service”. It’s a more official term for “text marketing”. Just about every cell phone out there supports SMS and it allows the quick delivery of text messages up to 160 characters. SMS Marketing – This is what SlickText.com does! It’s the permission-based method of marketing your business or organization through text messages. Short code – A short code is a short number that people can text a particular keyword to to sign up for text marketing lists. Keyword – A keyword, or as we call them at Slick Text, “textwords”, are a particular word that you reserve that is unique to your business or organization that when texted to a shortcode, will sign someone up for your text marketing list. SMS Marketing Provider – This is who we are! We provide businesses and organizations with the ability to quickly and easily (in Slick Text’s case) send text messages to your customers or followers.